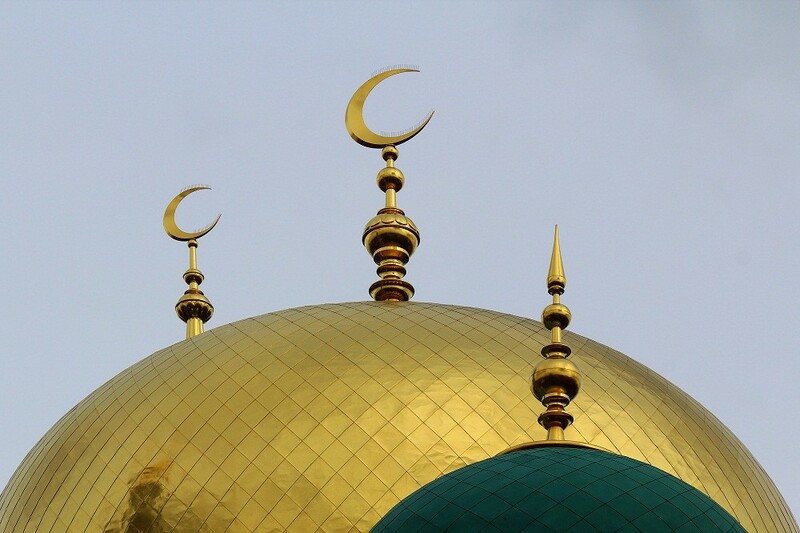 I was nearby the mosque and couldn’t resist the desire to take some photos. 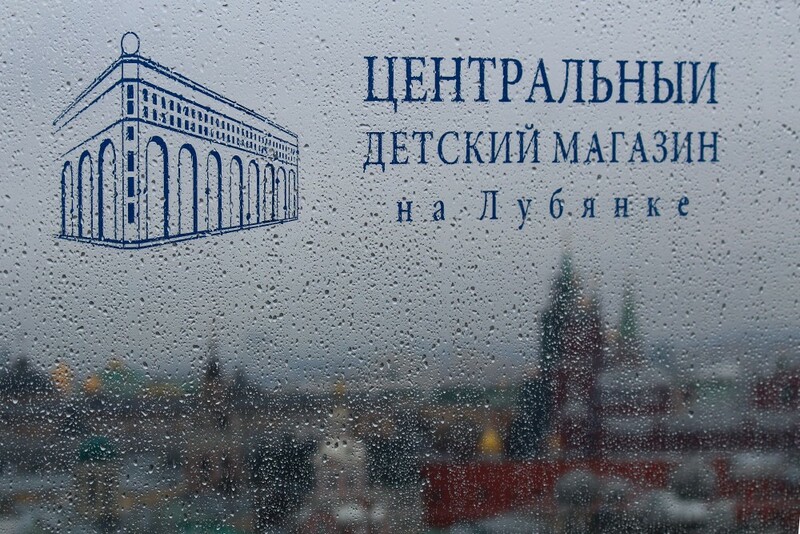 I think all the Muscovites has already visited this place. 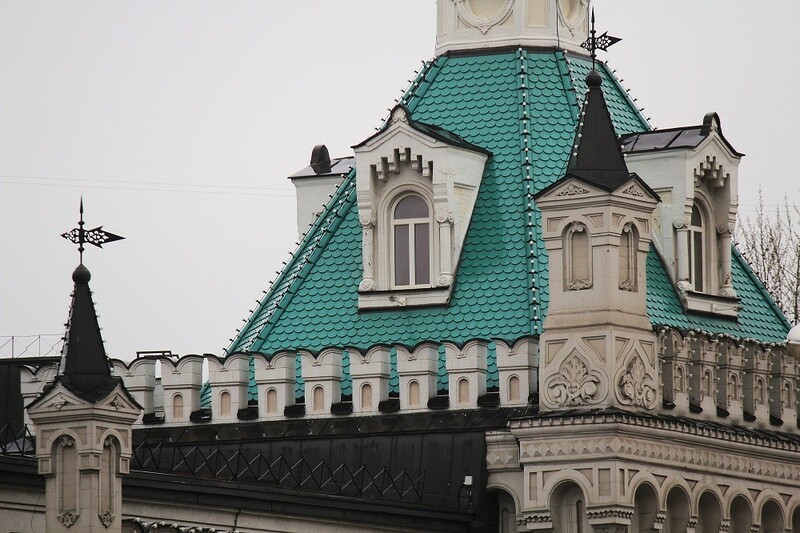 There are millions of photos from this roof. But I prefer to visit cool places myself and form my own opinion about them. I’ve got to the observation deck at the cloudy Saturday morning. I love this place. It is always free from people. Nobody knows about it, perhaps. 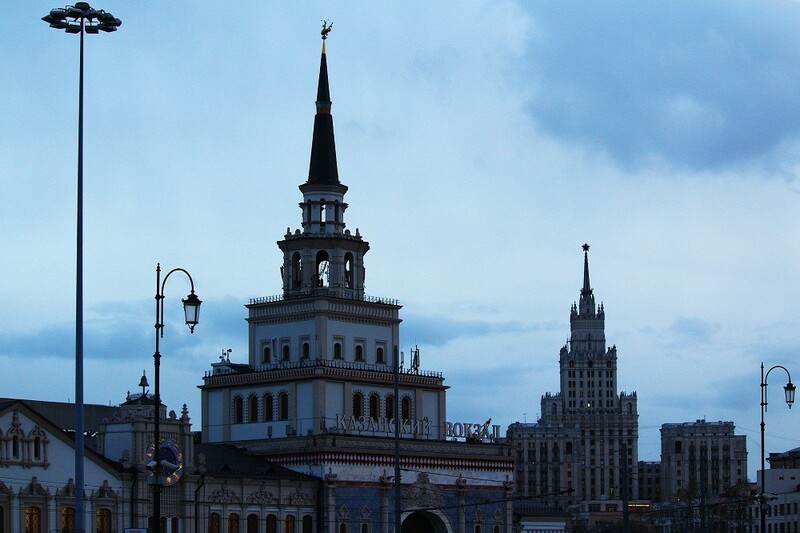 A perfect view to Teatralnaya square, the Hotel Metropol Moscow and the domes at Nikolskaya Street opens from here. There is a staircase between the New Stage and the main building of the Bolshoi Theatre, which leads to this cool place. Everyone knows about marshal Zhukov, standing near Red square, but few people know about marshal Zhukov at the prospect named after him. And not everyone of these who knows about the park, in which the second monument is placed, knows that the square in front of it has its own name. 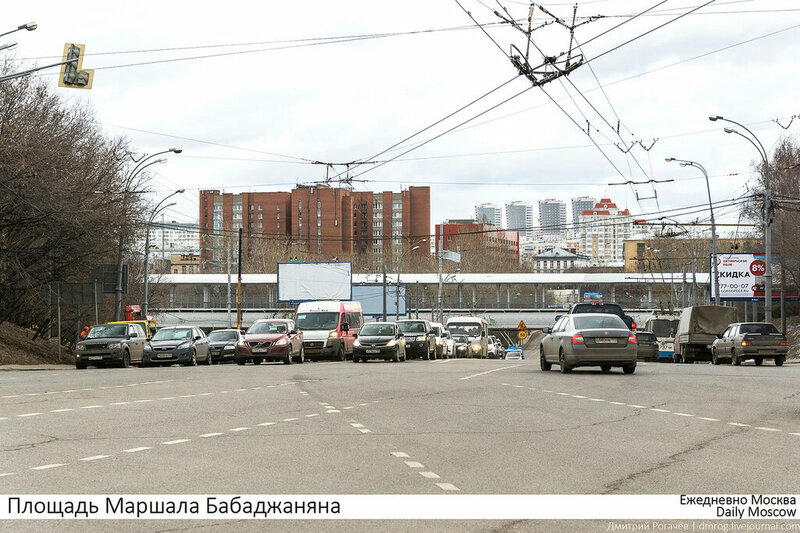 This is marshal Babadjanyan square, located where Horoshevskoe highway divides into marshal Zhukov prospect and Mnyovinka street. Yes, nowadays there is a simple semaphore and there always are several car rows, waiting for the allowing signal to make a turn. 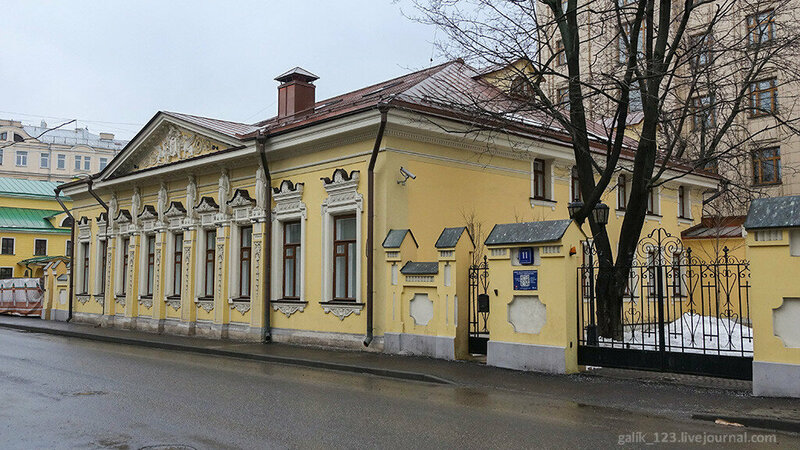 This luxurious mansion at Smolensky boulevard is famous between Muscovites due to some reasons. 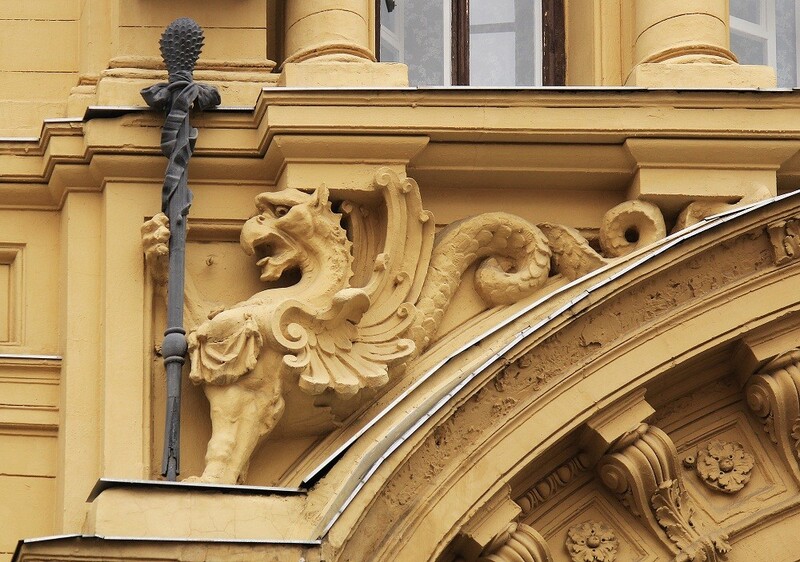 Firstly, it is a Moscow architectural sight. Secondly, its owners were really famous: manufacturer Mikhail Abramovich Morozov and his wife Magrarita Kirillovna (nee Mamontova). 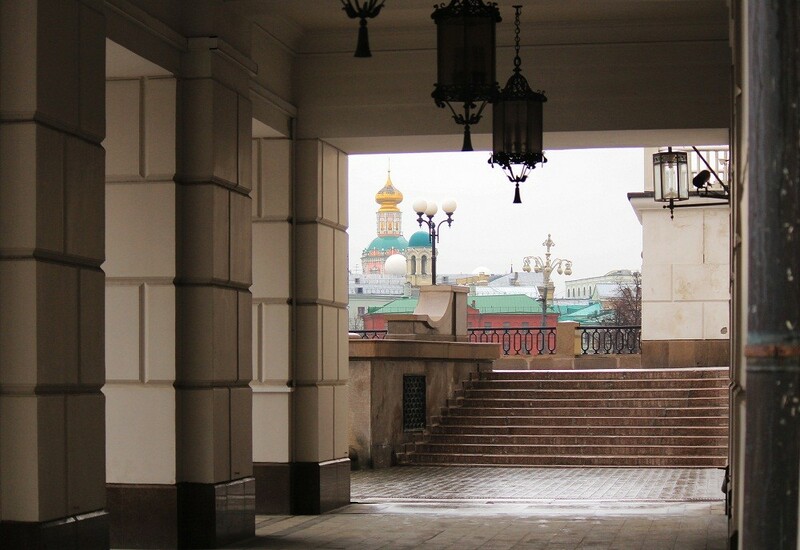 Thirdly, some Moscow intellectuals of 20th century (artist V.A.Serov, composer A.Skryabin, singer L.Sobinov, poet A.Beliy and others) used to visit it. 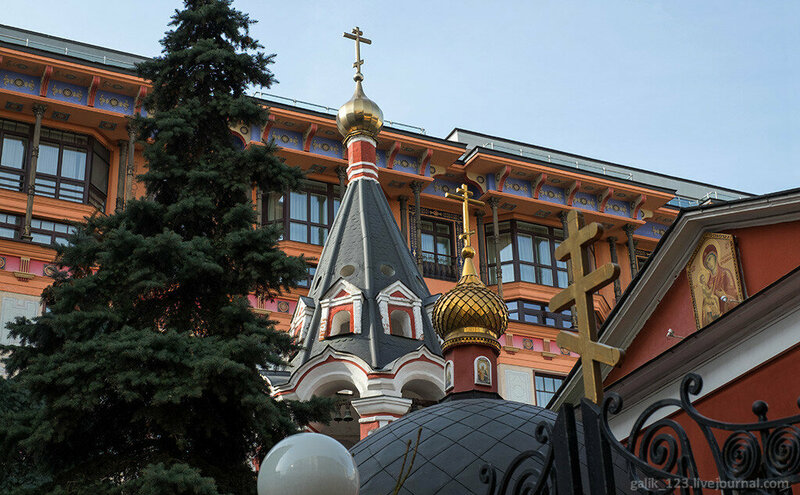 You can see some unusual neighbors in this old Arbat lane: a house built in 21st century is a background for the church of 17th century. 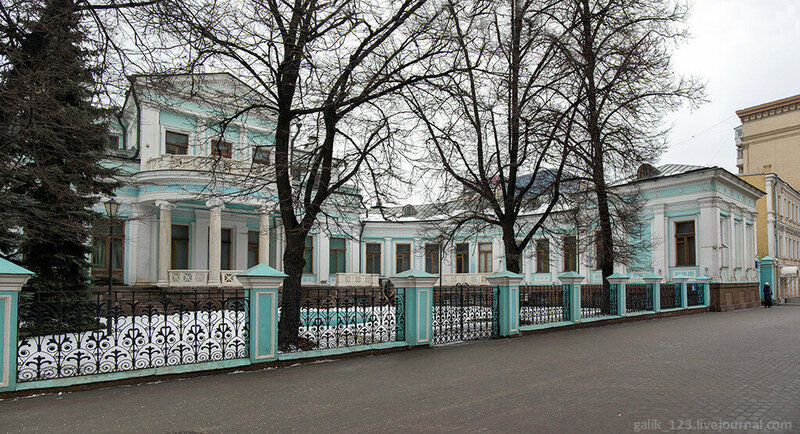 There is a true preserve for Moscow manors near Arbat and Khamovniki. All these lovely houses looked poorly earlier, but after the reconstruction they are as good as new.